After the beginnings of the Turbo era hot engine stops and the oil deficiency were considered the main reasons for failure of the end of a turbocharger lifecycle, is it now the over-speed and failures of the VTG unit. 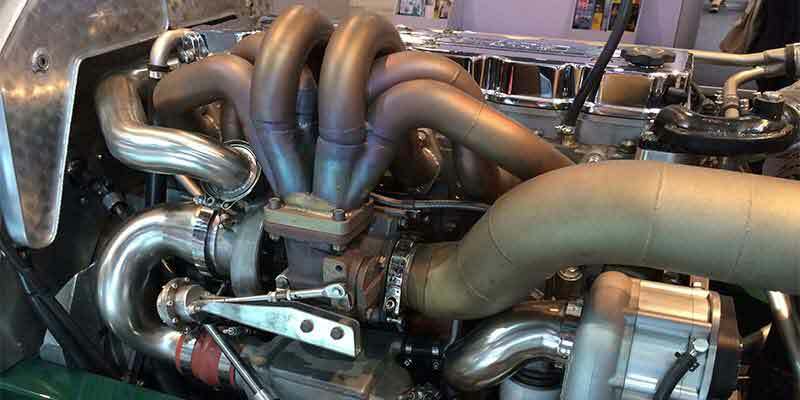 Due chip tuning or leaks in charge of leading the turbocharger speed rises disproportionately strongly. After a more or less long-lasting whistle noise adopt the majority then turbocharger with a rattling noise due bearing damage, or even with a broken shaft. Impact damage because of penetration of foreign elements into the turbine- or compressor housing can be clearly seen at the compressor- and turbine wheel. By installation of a new turbocharger the induction air channel and the exhaust-fume collector have to be inspected in regards of foreign elements. Attention! Turbocharger with above mentioned damages must not continue to work by any means. Dirty oil leads to turbocharger damages in form of scoring on the bearing surfaces. Where does dirty oil come from? Repeated, a few seconds lasting oil deficiency leads zu heavy wear marks on the bearing surfaces of the turbocharger. Failure because of high speed range of turbocharger on tuned vehicles or leaking pressure hoses between turbocharger and induction tube. Because of the excessive speed range an extremely high vacuum builds up in before the compressor wheel, which causes the spacer as well as the axial-thrust to wear out quickly.